The following statement is reproduced from the campaign website of the candidate, who is responsible for its content. 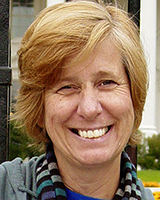 Cindy Sheehan, the Peace and Freedom Party candidate for Governor, will be in San Rafael on Saturday, May 24. The Marin County Peace and Freedom Party has endorsed this event. I am running to End Poverty In California. Please join me in San Rafael on May 24. Our major goals are to: decrease prison populations and in­crease funding for schools and publicly financed healthcare; greatly reduce fees for public colleges and universities; wean our state off of fossil fuels and expand usage of renewable and clean energy and expand public transportation (free for seniors and students); institute a State Bank; increase job training programs and repair existing infrastructure; house the homeless; stop the unconstitutional Bay Delta tunnel project and put all utilities under the control of communities that are served; fully decriminalize marijuana; legalize hemp; expand worker control of workplaces; expand people’s par­ticipation in state government; make the wealthiest citizens of this state pay their fair share; reform CPS and institute public review boards for police that have real power. Cindy Sheehan speaks on her campaign for Governor at a candidate forum in Berkeley on May 3. She is introduced by Peace and Freedom Party state executive committee member Marsha Feinland. Video recorded and edited by Ian Grimes. The Sheehan for Governor campaign would like to hear from you.